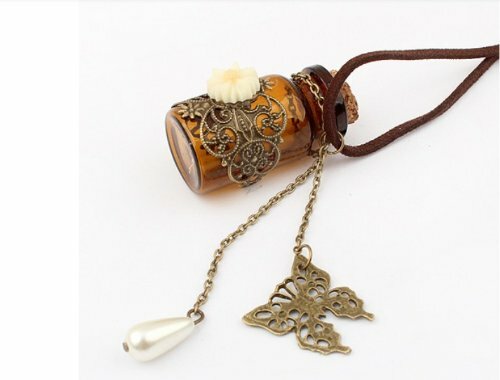 Retro Wishing Bottle Necklace Only $3.66 SHIPPED! You are here: Home / Great Deals / Amazon Deals / Retro Wishing Bottle Necklace Only $3.66 SHIPPED! I am loving this necklace! Right now, you can get this Retro Wishing Bottle Necklace for just $3.66 + FREE shipping! I LOVE this one! It’s super cute, and the price is right!